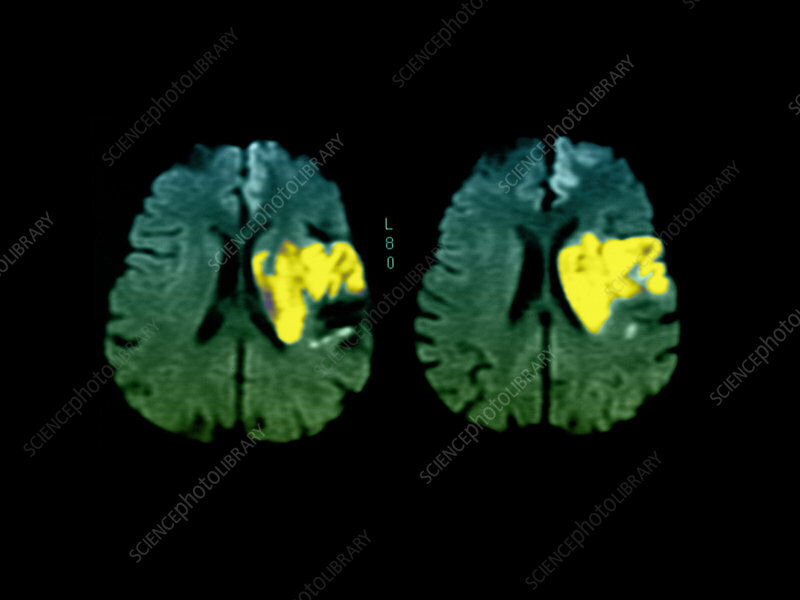 These 2 colour enhanced axial (cross section) MRI images show a large region of acute stroke (infarction) in the left cerebral hemisphere in the left middle cerebral artery territory. The stroke is coloured yellow. Diffusion weighted MRI scans allow us to tell whether an area of stroke (infarction) is new/acute or old. This is a very powerful tool in MRI imaging of the brain.